The World Championships are just over a week away. So our friends at PUMA had a chat to the highlight of the championships, the legendary Usain Bolt about all things athletics. PUMA: How did it feel to be back in London this weekend and competing at the Olympic stadium almost a year on from your amazing three Olympic Gold medal win? Usain: It was great to be back in London because that place holds a lot of memories for me. For me, it was perhaps the best track and field meet I’ve competed in outside of a major championship – it was wonderful to see a big stadium filled to capacity and the atmosphere was phenomenal. PUMA: How important is the crowd and fan support in the stadium when you race? Usain: It’s really important. I love the way the crowd respond to me and I always try to entertain them, put in a good performance and run well. It’s always great to see so many people coming out to support me. 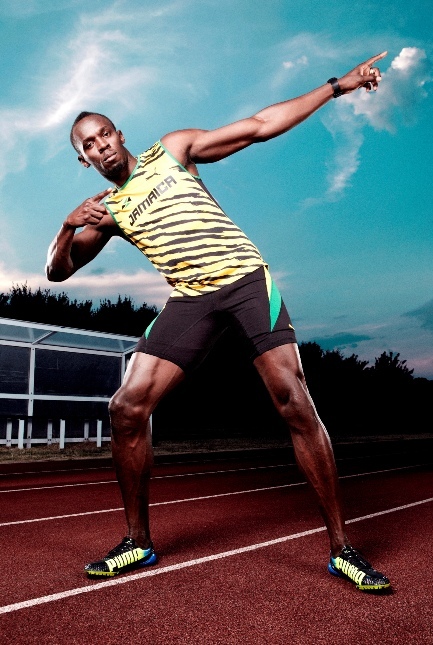 PUMA: The 2013 IAAF World Championships in Moscow are fast approaching, how are you feeling right now? 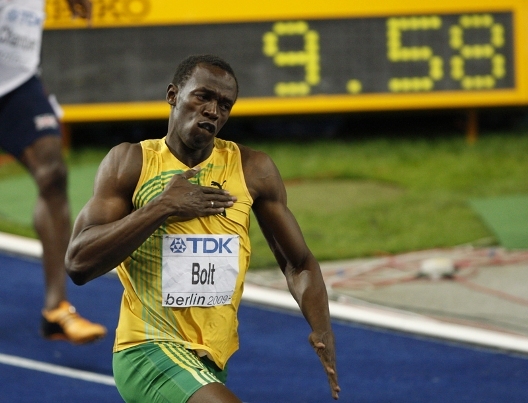 Usain: I’m feeling good right now. I’m in good shape, training hard and working with my coach to tweak a couple of small things, but looking ahead to Moscow I’m definitely ready. I fly out to Moscow this weekend, and I’m looking forward to it. PUMA: Have you visited Russia before? Usain: No, I’ve never been to Russia, the World Championships will be my first time there to compete and visit the country. I won’t have much time when I’m there as my training schedule will be very busy, but hopefully I’ll get to see a little bit of the city and meet some people. PUMA: Can you speak any Russian? 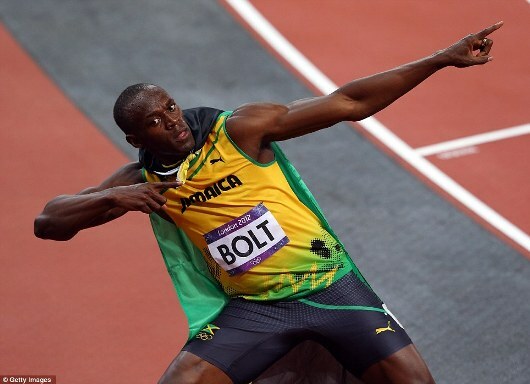 Usain: I’ve been listening to a few Russian words but it’s a definitely not an easy language. It’s very different to the way we speak in Jamaica, that’s for sure. PUMA: What do you think the fans will be like in Moscow? Usain: I have no idea what to expect, but I’m sure they will create a loud atmosphere in the stadium. The World Championships is such a big stage, fans are always noisy. PUMA: It’s almost two years on from your 100m false start at the 2011 World Championships in Daegu, how are you feeling about that moment with the 2013 World Championships so close? Usain: I don’t think about it any more. At the time it was very disappointing, because I was in great shape and knew that if I had started and run well I would have got a gold medal. But that’s behind me now, I learned from it and moved on. Right now, I’m only focusing on Moscow and preparing well for that. PUMA: How important is it to regain your 100m title at the World Championships in Moscow? Usain: Of course it’s very important. I want to keep winning every race that I compete in, and the 100m and 200m finals in Moscow will be the biggest races for me this year. It’s why I’m working hard with my coach to give myself the chance to do that. PUMA: How do you think you’ve performed so far this season? Usain: My season has been good, I’m getting stronger every week and my execution and speed endurance is steadily improving. It’s important for me to avoid injury, over the past few years I’ve picked up small injuries at the beginning of the season which has been a bit frustrating, but as I said right now I’m in good shape, focused and feeling well, training hard and I’m ready. PUMA: One of your major challengers and Jamaica team mate Yohan Blake is ruled out of the World Championships due to injury, does this take the pressure off you? 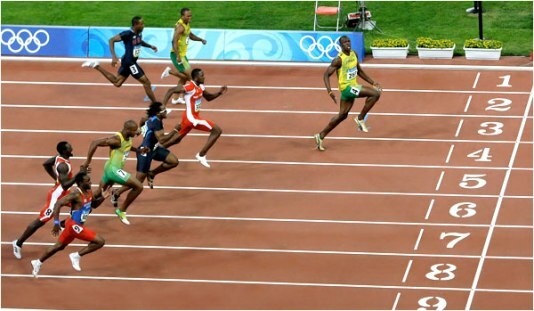 Usain: I never think about just one competitor, there’s going to be seven other guys there in the blocks next to me and I’m running against all of them. PUMA: Justin Gatlin has been running well this season; does his recent strong performance concern you? Usain: As I said, I’m not worried about one person, all the guys out there will be looking to challenge me and prove themselves. I can’t think about the threat of one person; I have to focus on myself, my training and my preparation. PUMA: What’s next for you after the World Championships? How much longer can we expect to see you on the competitive circuit for? 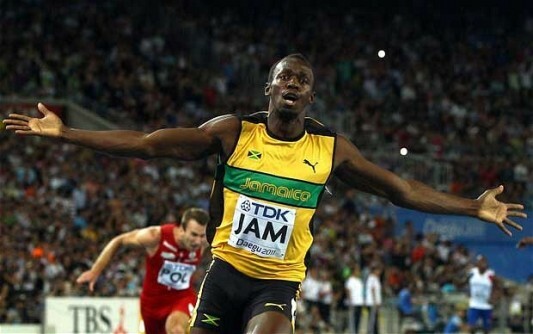 Usain: There’s still a lot more to come from me. My objective is to continue to win gold medals in my sport, all the way up to the 2016 Olympics. If I can do that and along the way continue to win gold medals and break records, then I will have proven myself and achieved what I have always set out to do. PUMA: Do you think there’s a possibility of breaking your 9.58 100m record before you retire or have you reached you physical peak? Usain: Yes, of course. It would require a technically almost perfect race, and for the weather conditions to be good but I’m focused on getting myself in a physical condition where I’m capable of doing it. The 200m World Record would be the one I’d really love to break again, to see if it’s maybe even possible to get it under 19 seconds. That would be something special. Catch the World Athletic Championships from the 10-18 August.